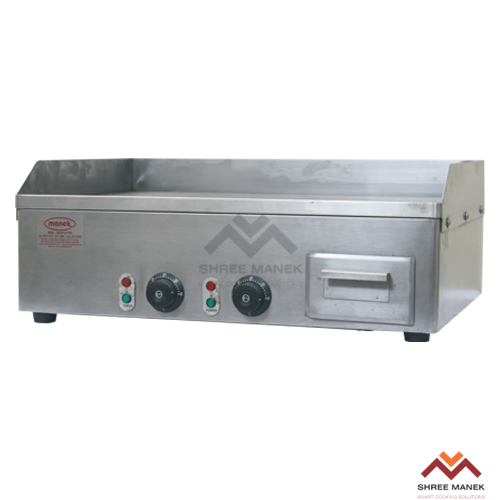 Commercial, Restaurant & Hotel Kitchen Cooking Equipment | Shree Manek Kitchen Equipments Pvt. 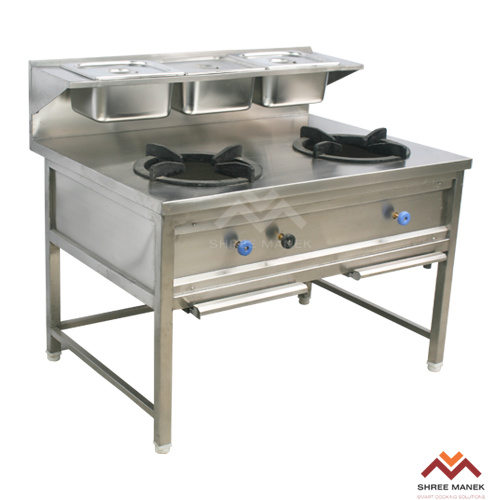 Ltd.
Good cooking equipments aren’t just about necessity, but it’s also about convenience, a sense of comfort that you give your hardworking chefs in the kitchen, to create their culinary masterpieces. 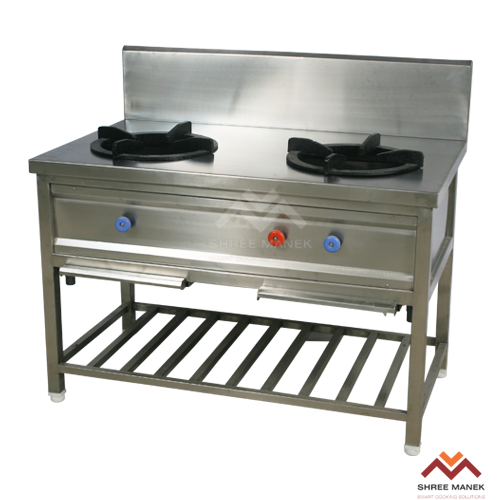 Every cuisine requires a different set of commercial kitchen equipment; you name it, and we’ve got it!. Specially designed gas range for Chinese cooking. 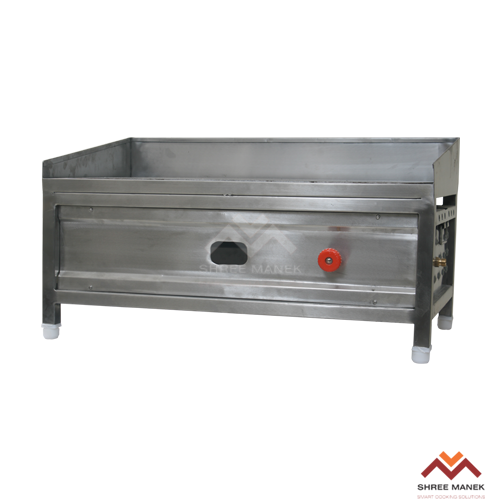 Heavy Gauge sunken top with heavy plate support beneath and high splash back with a wide drain channel. 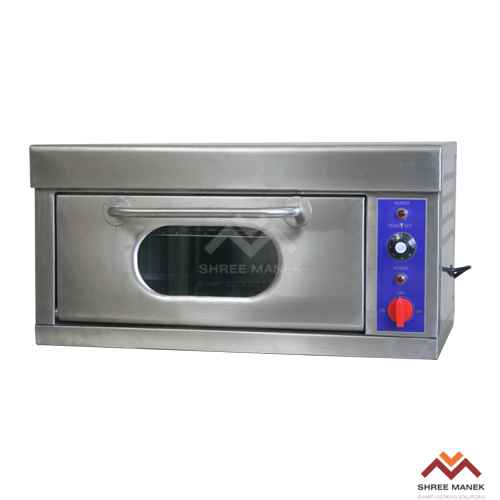 Ideal for bulk and ala carte Indian cooking. 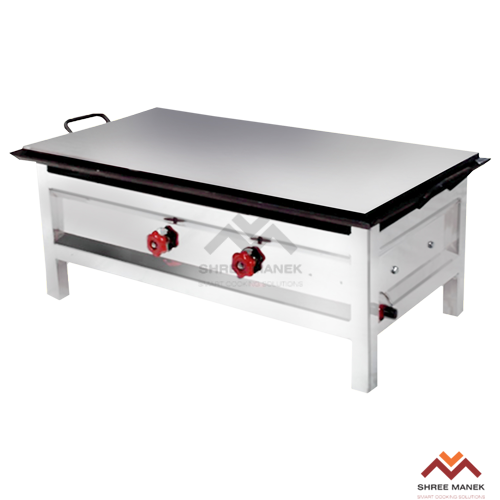 Heavy Stainless Steel top with angle support beneath and sturdy base frame, heavy round or square C.I. 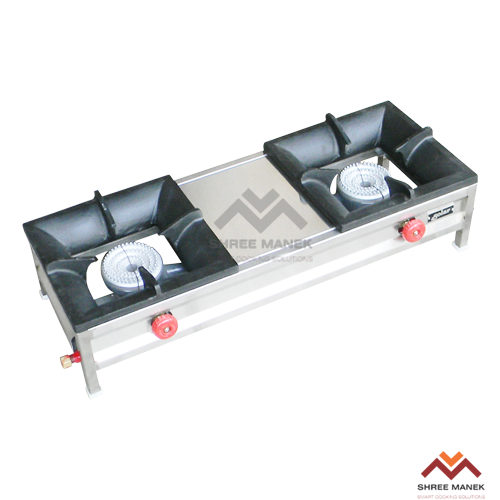 pan support rings and separate drip trays. 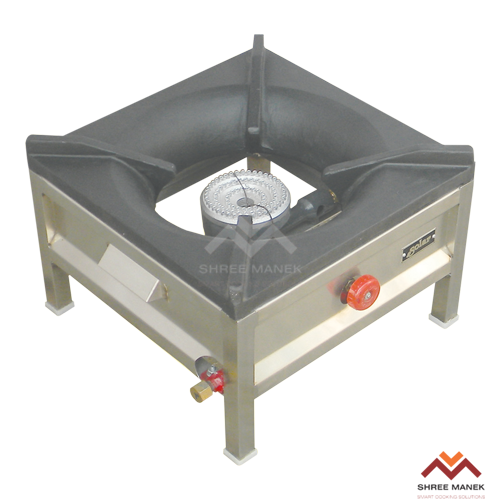 2, 3, or 4 Standard make High Pressure burners with Pilots. 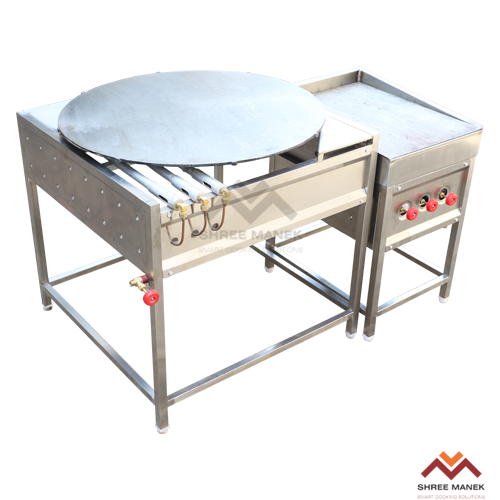 Material, construction and sizes can be fabricated as per customer's requirements. Easy -to- use and requires low maintenance. Single High Pressure burner fitted on a Heavy duty body. 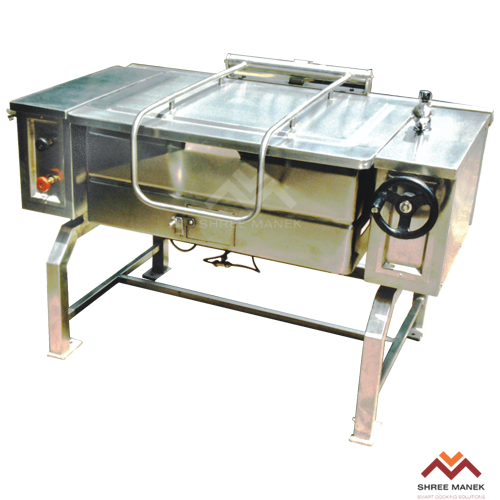 Bulk Cooking range can be made Heavy and sturdy with capacity to take Heavy Vessels. Quick and efficient way of cooking multi cuisine food. 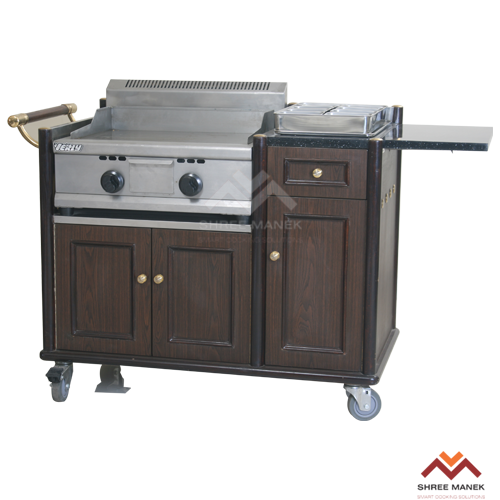 Heavy Duty Top fitted with 2-H.P & 2-L.P Standard make burners and stainless steel front and side paneling fixed on heavy frame structure. 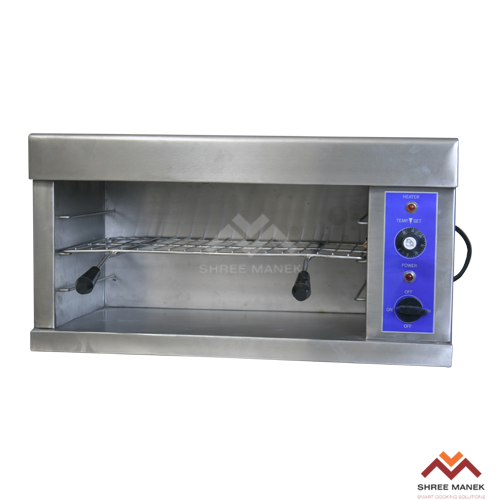 Available with or without baking oven underneath which is gas or electrically operated and thermostatically controlled. 32”x 32”x 34” + 6” Splash Back. 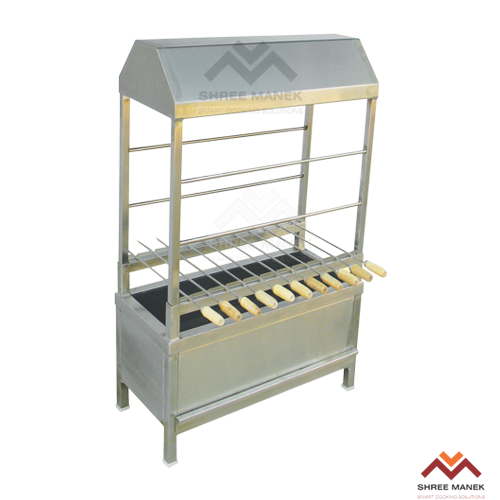 Barbeque equipments used for smoke grilling & flavorful cooking. You can choose between Gas and Coal operated. 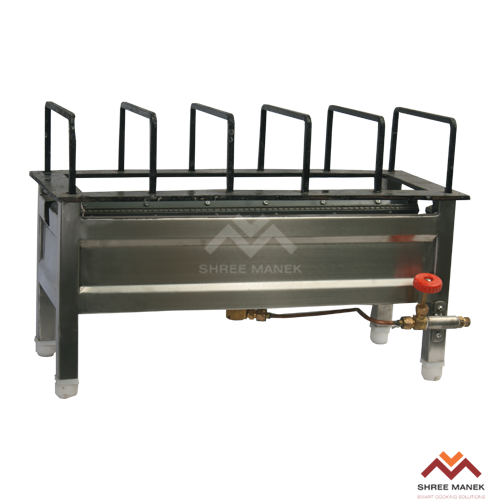 Manek way to make bulk puffed chapattis with 1/2" thick M.S polished top plate & C.I puffing grid mounted on heavy frame structure. Available in 2 variants Gas and Electric operated. 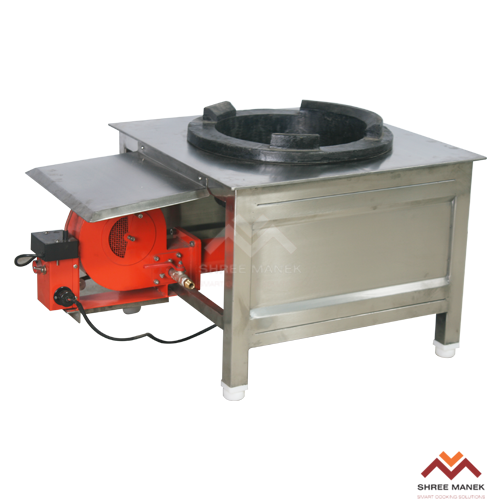 For faster and more efficient Chapati making, we provide rotating Chapati Tawa with separate puffer unit. 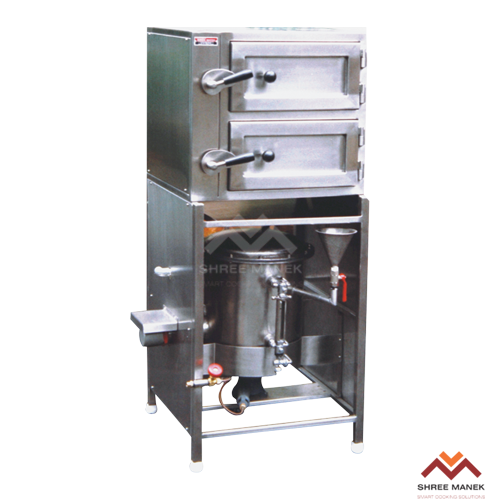 This system provides a continuous output for puffed chapattis. Useful schools, hospitals, industrial canteens and thali restaurants. Nothing tastes better than a platter of charcoal grilled veggies and meat. Our charcoal grillers are designed for good times and great barbecues. 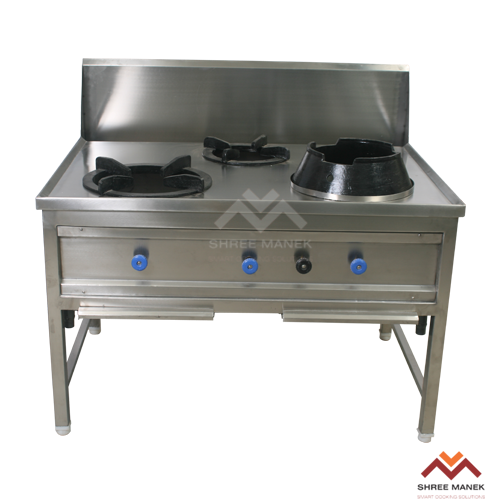 This traditional method of cooking is quite popular with the catering industry. 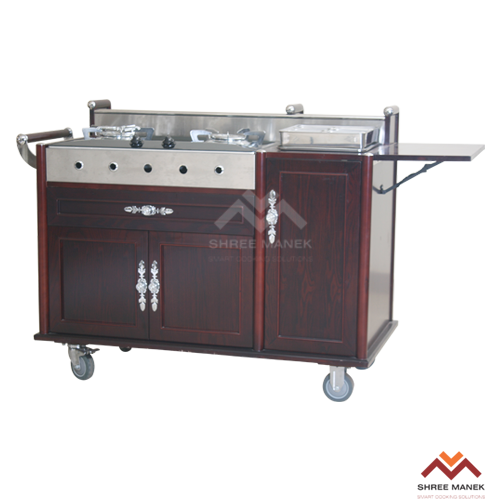 Material, construction and sizes can be fabricated as per costumer’s requirement. Suitable for Breakfast buffets and places where continuous supply of bread toasts are required. 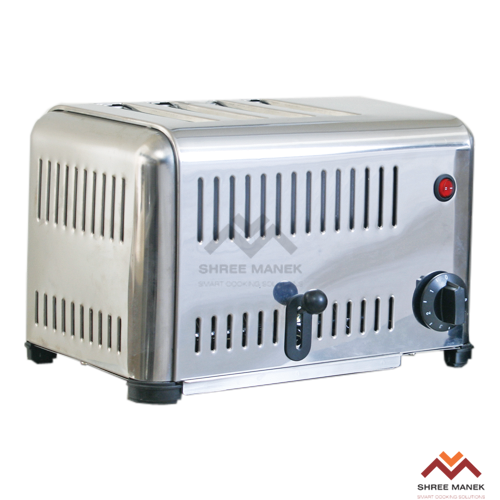 Heavy body with high quality heaters, pop up system and timer for perfect toasts. 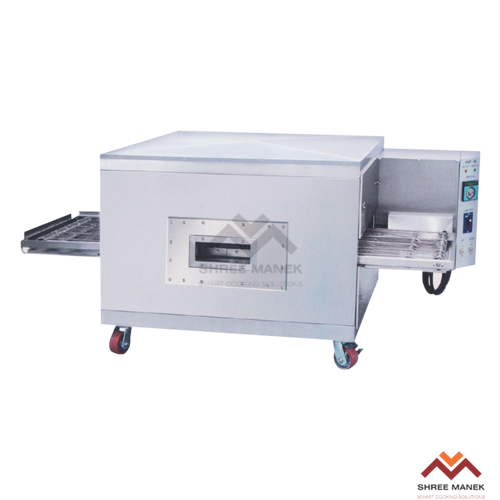 For faster supply of toasts, conveyor toaster is also offered. Easy and fast way of preparing 2, 4, 6 & 8 Dossas at a time. Ideal for Fast food and Udupi Restaurants. 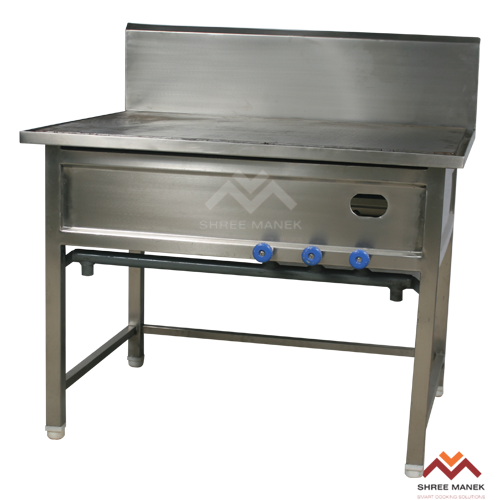 M.S polished 1/2" thick top plate mounted on sturdy frame structure with splash back and oil drip channels all around. Can be made as floor as well as counter type model. 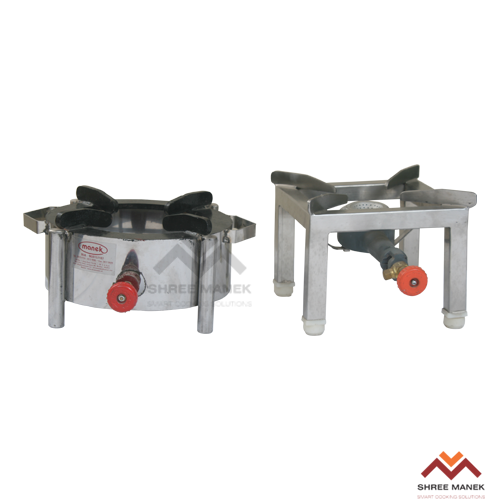 Available in 2 variants- Gas and Electric operated. Easy and fast way of preparing 2, 4, 6 & 8 Dossas at a time. Ideal for live cooking. 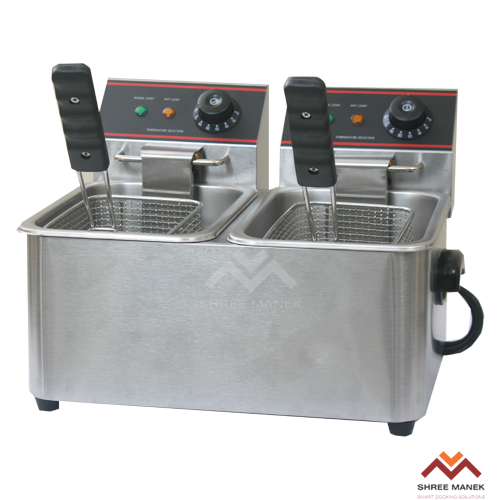 Suitable for outdoor catering or fast food joints to make 36- 54 steamed Idlies, Dhoklas, Momos, Khaman or any such steamed item. Outer and inner body stainless steel completely insulated within built water chamber and good quality water heater. 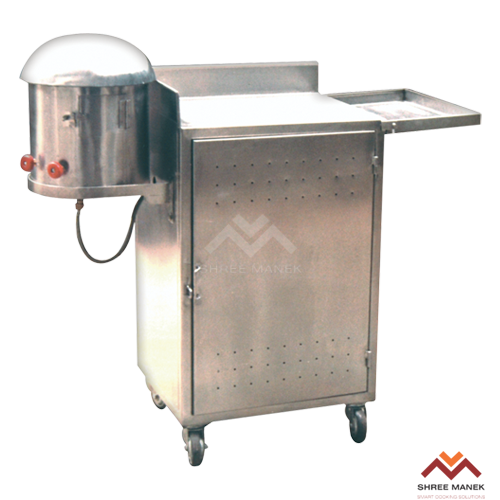 Suitable for outdoor catering or fast food joints to make 36- 54 steamed Idlies at a time, Dhoklas, Momos, Khaman or any such steamed item. 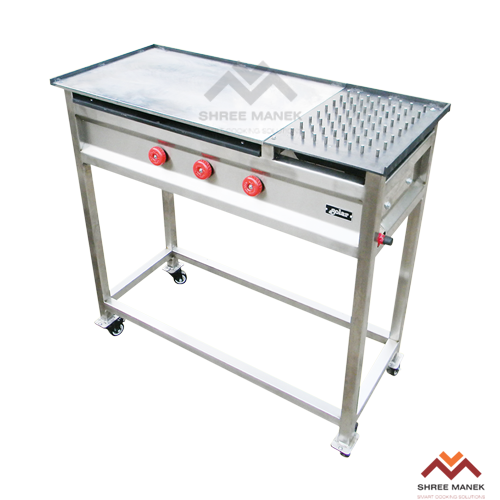 Completely manufactured in stainless steel with die pressed idli trays, insulated. The heavy gauge steam generator unit with auto steam control value & auto water leveling system mounted on heavy S.S pipe frame structure. Capacity ranging from 72 to 180 Idlies at a time with in 5 to 8 minutes. 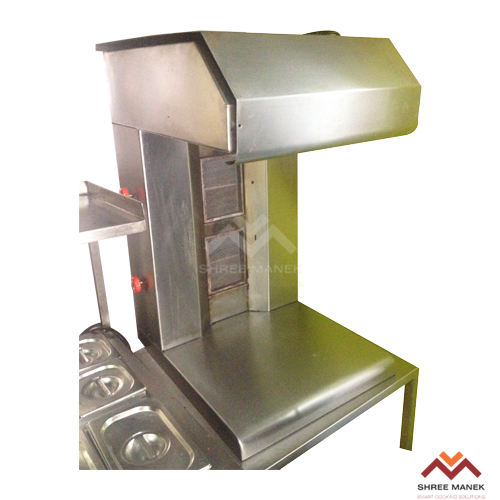 Suitable for fast food counter & restaurant pantry section for making crispy 4, 6, & 8 Pizzas at a time. 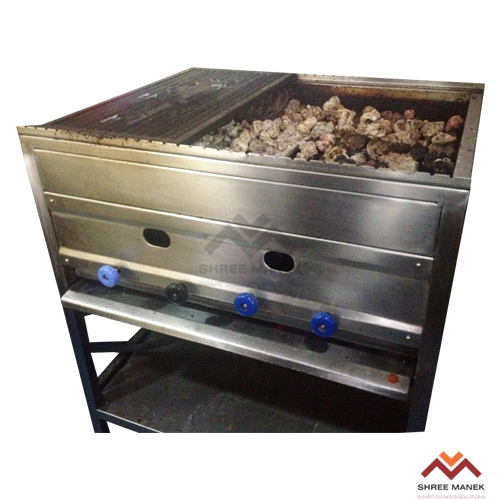 Compact outer & inner body stainless steel & insulated with cera glasswool all over. Front door spring loaded with Toughened viewing glass. Good quality air heater thermostatically controlled. 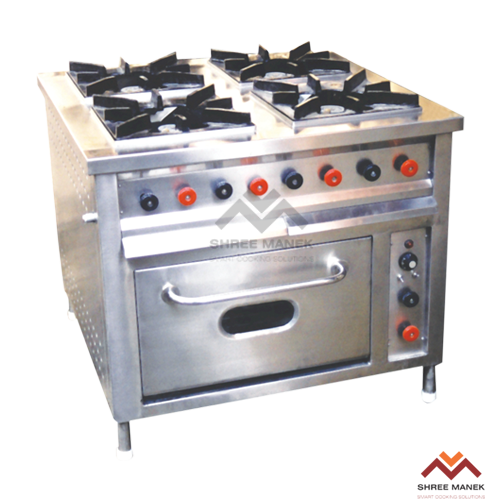 When time is of essence, quality is key; a power burner gas stove will be a welcome addition to your busy commercial kitchen. 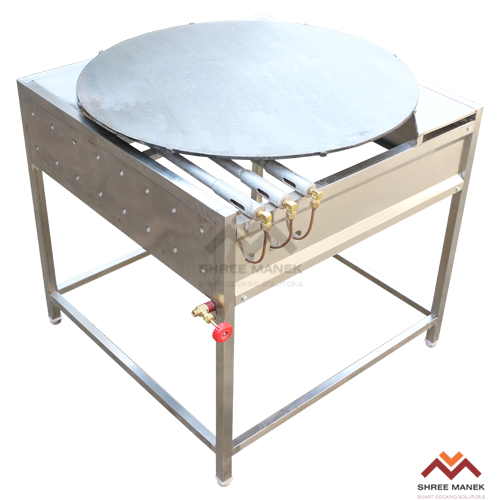 Chapati plate uniformly distributes heat so there are no hot spots to scorch rotis. 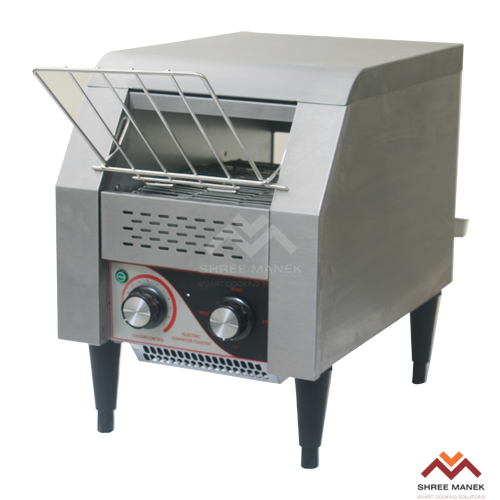 Ideal equipment, instant heating & faster recovery for Toasting, Grilling & Re-heating. Inner & Outer body stainless steel, insulated. Easy operation with S.S grill. 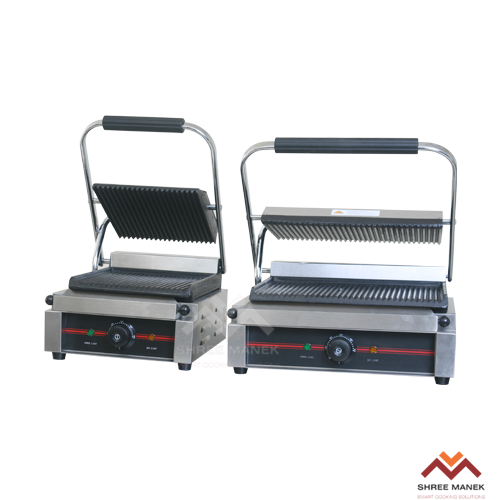 Elegantly designed, single or double unit with stainless steel body & C.I serrated griller plate for uniform heating. 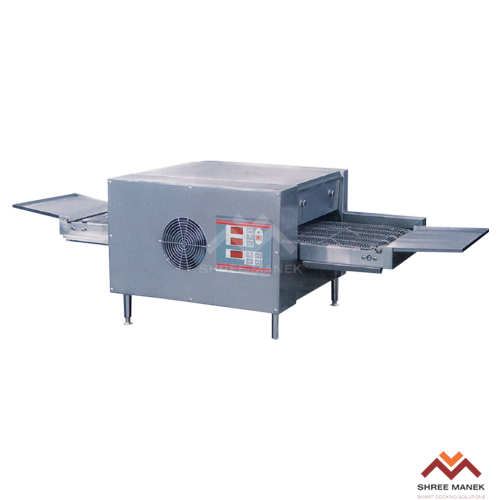 Good quality air heaters thermostatically controlled to make good quality club sandwiches. 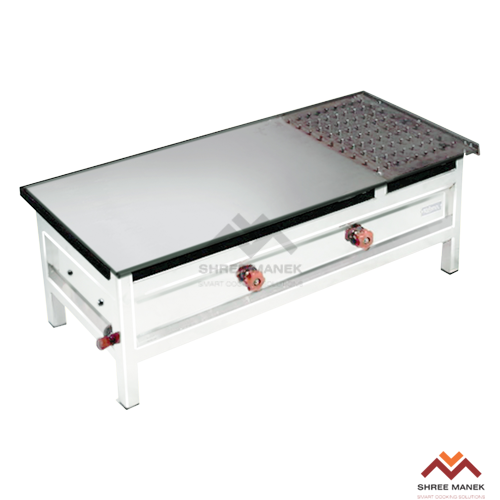 SS 304 Food Grade quality steel body construction. SS motor operated rotary road or manual rotary rod (Options available). 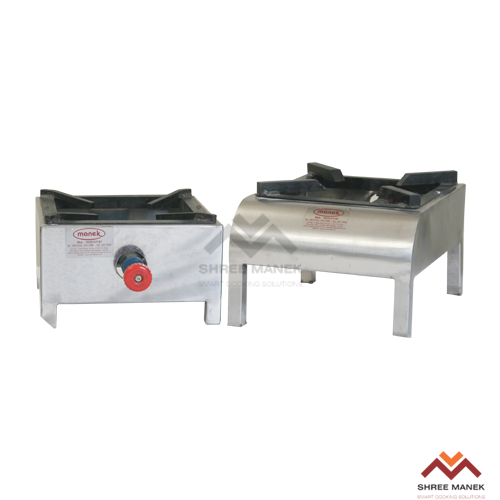 High pressure burners with pilot burners. 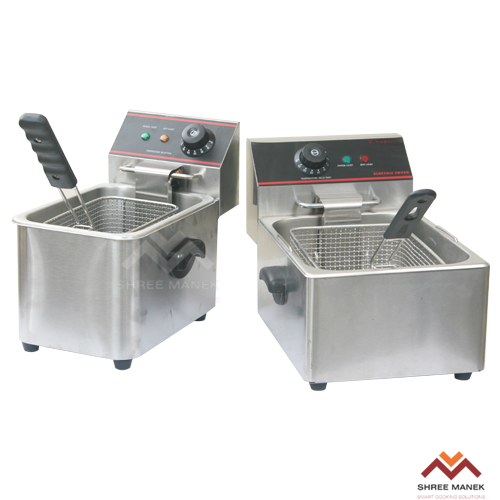 Speedy and Hygenic way of frying all fry-dishes made easy, less oil consumption. 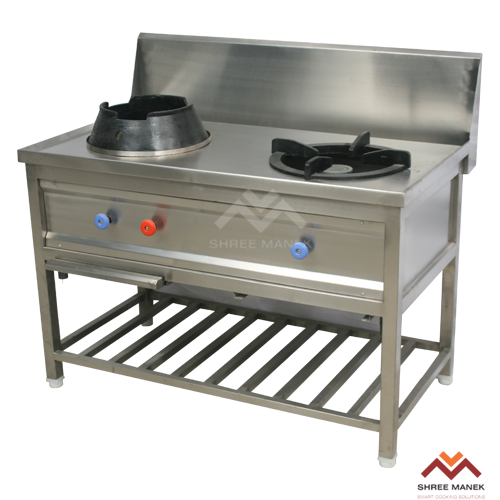 Complete Stainless Steel body with removable frying chambers and baskets. Unit is available in both Counter as well as floor model. 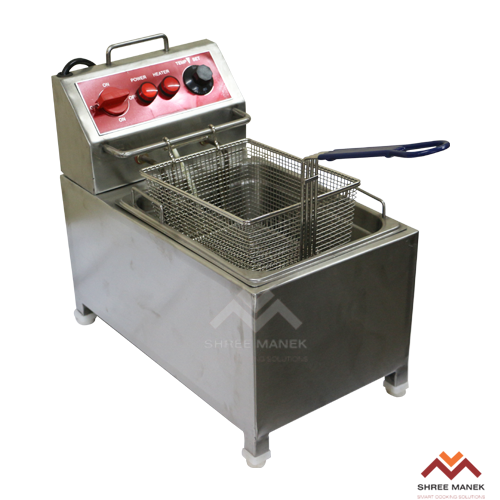 Single or Double frying chamber can be made as per requirement. Uniformly heated elements which are thermostatically controlled to save electricity as well as to reduce consumption of oil. A steam plant is a very efficient way of boiling food in very bulk quantities. The steam generator is connected to 2-4 vessels, and the steam from the generator is passed through these vessels, in which boiling of food takes place. 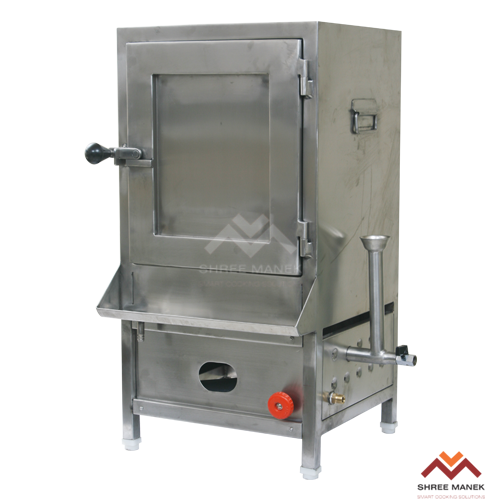 The steam generated is heated by a small burner or with a electric water heater. 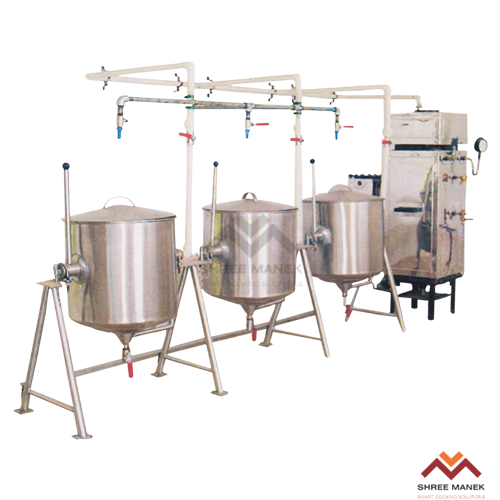 The vessels can jacketed as well as non-jacketed. 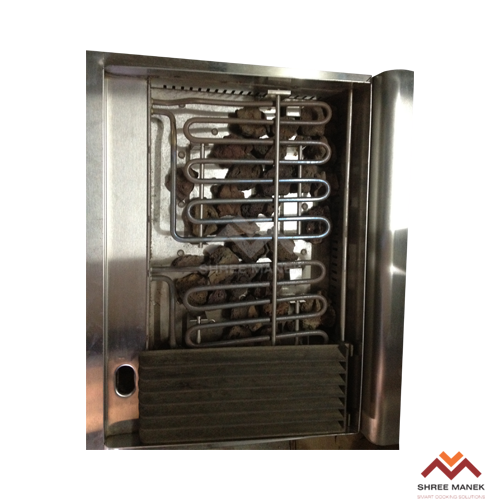 This system provides a very substantial amount of savings in compared to boiling food of Gas Ranges. 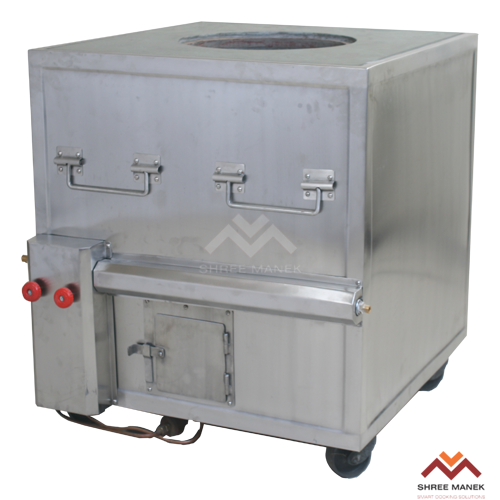 Coal or Gas fired Tank tandoor made out of complete S.S. body and Granite top. The body is insulated with high density Cera glass wool . 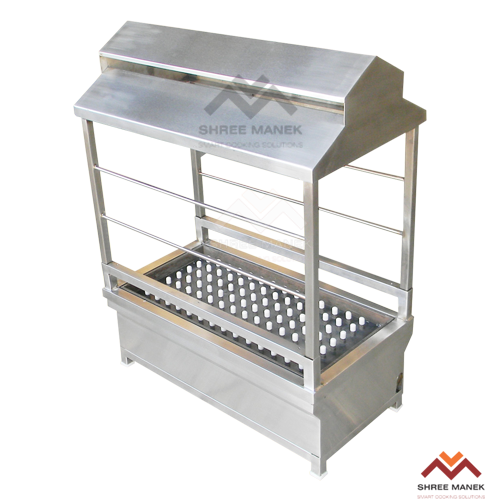 Fitted with Bikaner clay pots to make delicious Tandoori dishes and Tandoori roties. The unit mounted on heavy base frame with C.I castor wheels for easy movements. 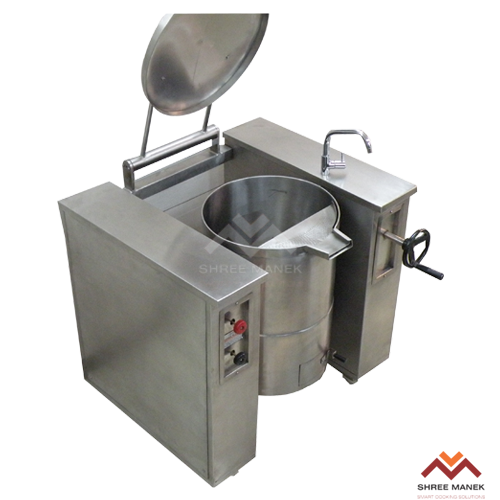 Speedy way of cooking and boiling vegetables, rice, dal etc. 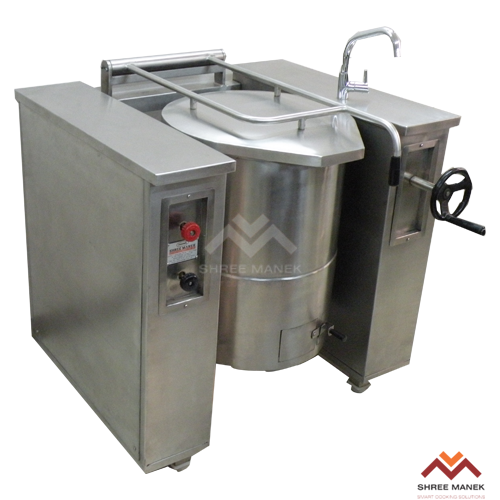 Full Stainless Steel structure, smooth Worm Mechanism for easy tilting and full Stainless Steel vessel with radius corners for easy cleaning. 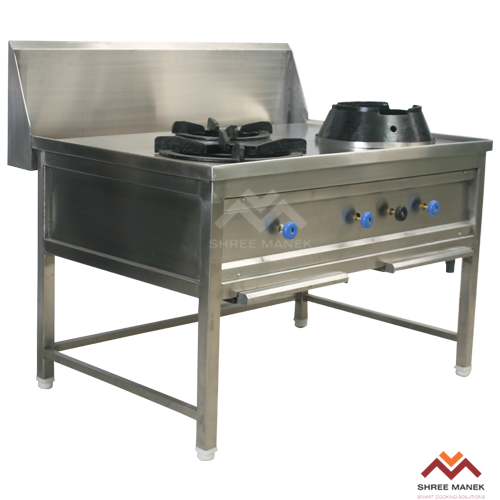 Suitable for industrial canteens, flight kitchens, big hospitals & restaurants as improves efficiency by saving time as well as money. No flakiness, no dryness… only crisp toast bread that is evenly browned on both the sides.